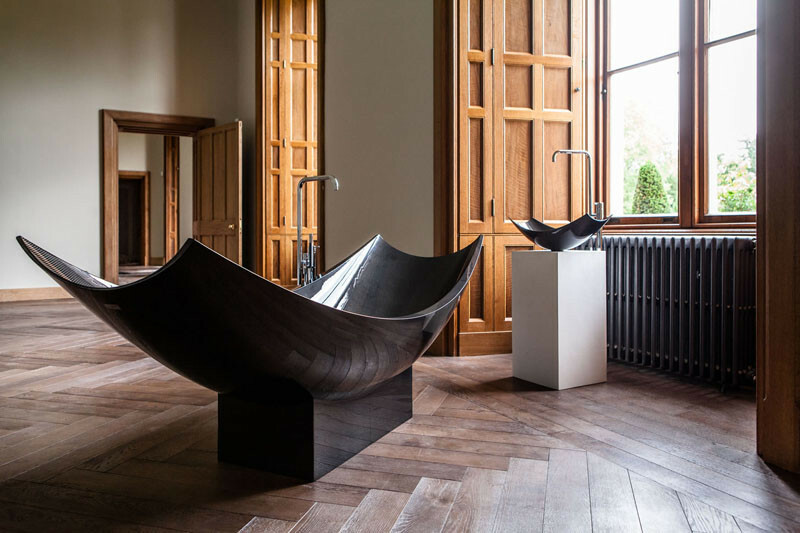 Inspired by the success of their hammock vessel (see it here), design studio SplinterWorks has created a freestanding version of the tub and added a wash basin to the collection. 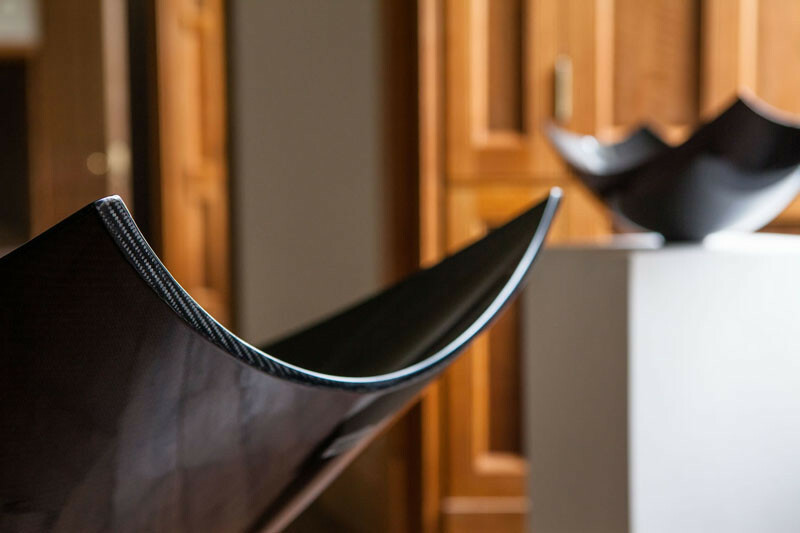 Made in the same shape as the hammock, the freestanding vessel is designed to provide the best shape for relaxation while giving users the freedom to place it where they like, such as in the middle of a bathroom. 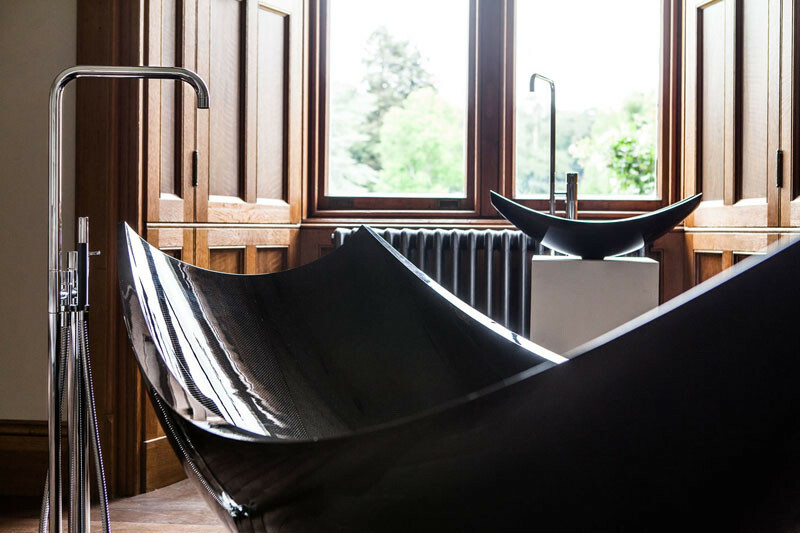 This tub, like the others by SplinterWorks, is made from carbon fibre, giving it incredible strength while maintaining a smooth inviting feeling. 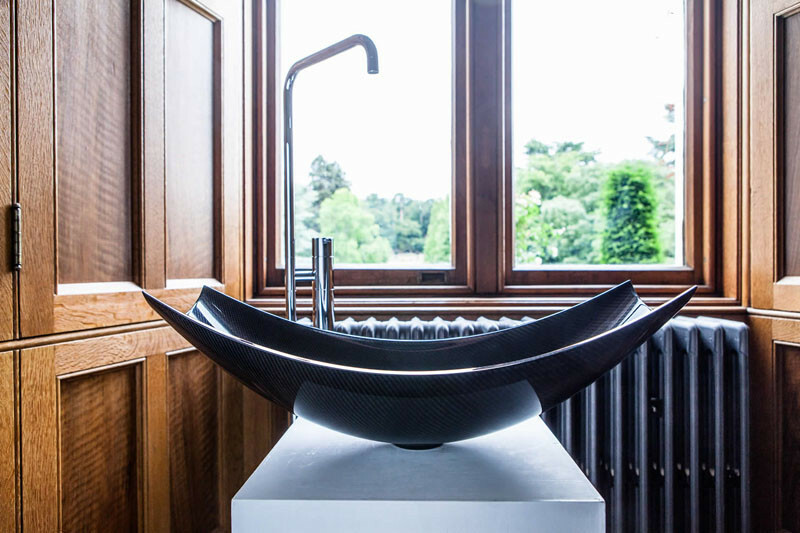 The carbon fibre also makes the tub incredibly light. 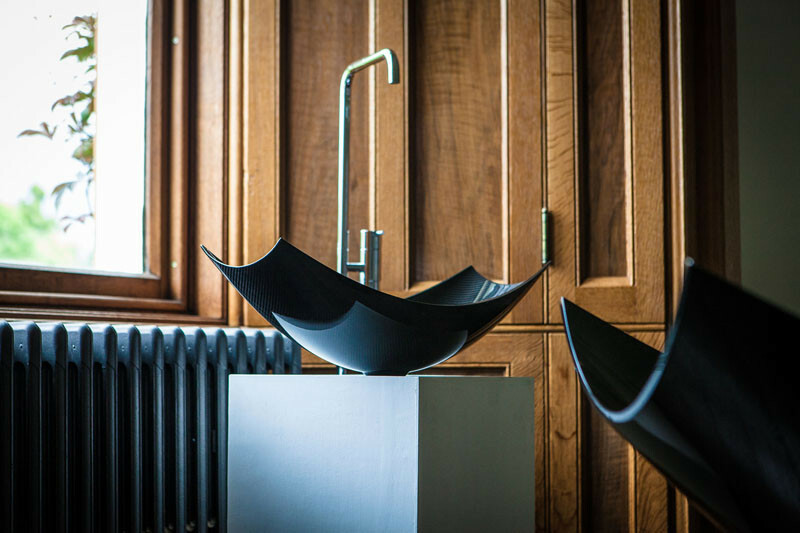 At only about 30 pounds when empty, the Vessel can easily be moved and doesn’t require upper floors to be reinforced. 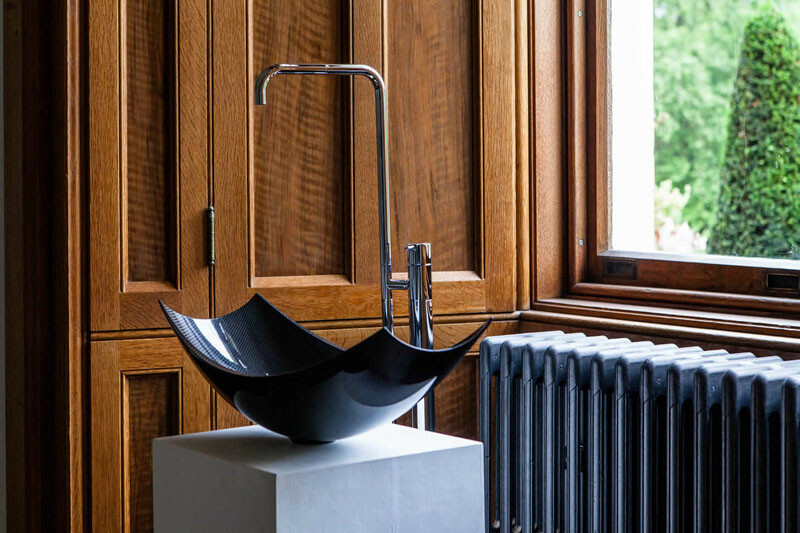 From the same collection, the wash basin is a miniature version of the tub. 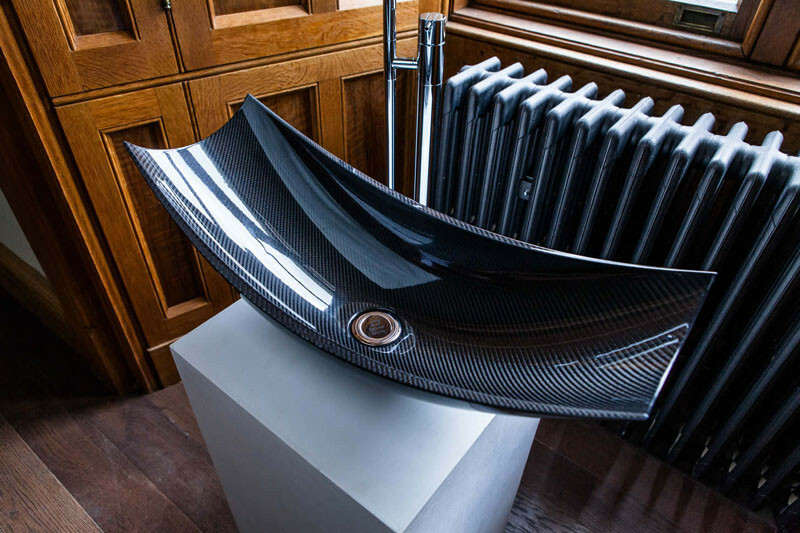 It is made from the same lightweight carbon fibre as the tubs, allowing it to be both durable and easy to install.